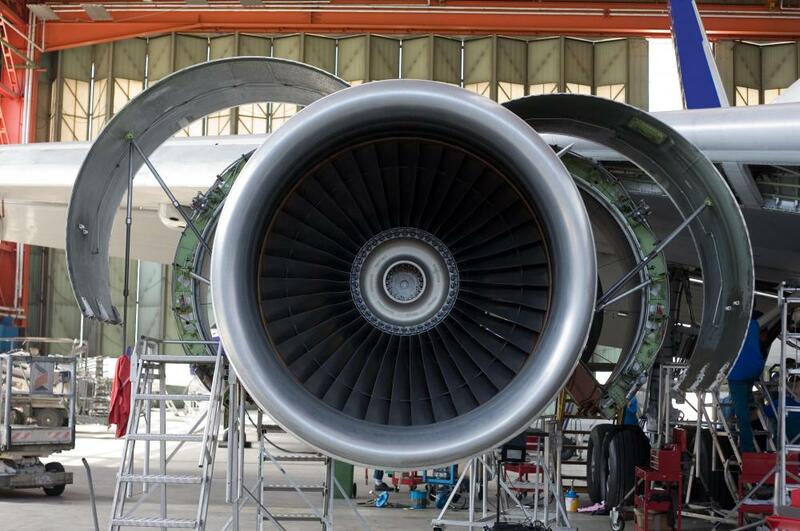 Turbofans are jet engines that use large intake fans to draw air into a high-pressure compressor. The Boeing 747 uses four turbofan jet engines to provide thrust. A turbofan is a type of air compression system used in most aircraft jet engines as of 2011, as well as in some high-performance cars, boats, or specialized air-powered vehicles such as hovercraft or turbofan-assisted helicopters. It is considered an improvement over turbojet or turboprop engines at normal commercial aircraft speeds due to increased fuel efficiency and noise reduction, and the turbofan gas turbine engine is also incorporated into many sub-sonic military aircraft. The earliest turbofan airbreathing jet engine was made in 1943, but problems with the efficiency and reliability of early designs as compared to that of turbojets delayed their widespread adoption until the 1960s. A basic design for a turbofan engine has a front-mounted turbine that pulls in air and channels it in two directions. A small portion of the air is channeled to a central combustion chamber, where it is heated by burning fuel and exhausted out a jet nozzle at the rear for thrust. The remaining air is channeled around the combustion chamber to mix with exhaust gasses from the combustion process, as an exhaust turbine channels it out of the chamber. This increases the engine's thrust capability, reduces noise levels, and cools the combustion chamber simultaneously. Such engines are known as bypass turbofans, where the ratio of bypassed air channeled around the engine compared to the air that is used for combustion is in the range of 8 to 1, or higher. The invention of the turbofan engine was a significant improvement over piston-driven engines as the direction of motion in the engine was in one rotary direction, reducing aircraft vibration overall. While a simple turbofan engine's parts all rotate at the same velocity, more advanced engines as of 2008 have a gearbox control system to increase their fuel efficiency level by 12% or more, as well as reduce noise and waste gas emissions by up to 50%. These gearbox turbofans attempt to match the velocity of bypassed air to the velocity of the aircraft itself, where earlier designs used the increased velocity of bypassed air to power the exhaust turbine for additional thrust. By controlling each part of the compression and exhaust process individually, the efficiency level of the engine can be adjusted for aircraft speed and attitude, increasing overall efficiency. Military aircraft that can fly above supersonic speeds of MACH 1.6 or higher and have a need for high-performance characteristics use hybrid versions of the turbofan. At supersonic speeds, jet engines with simpler designs, such as the turbojet or ramjet engines, have a much higher thrust-to-weight ratio than the turbofan, but they perform poorly at subsonic speeds. These aircraft engines have additional features, therefore, such as afterburners and vectored thrust. 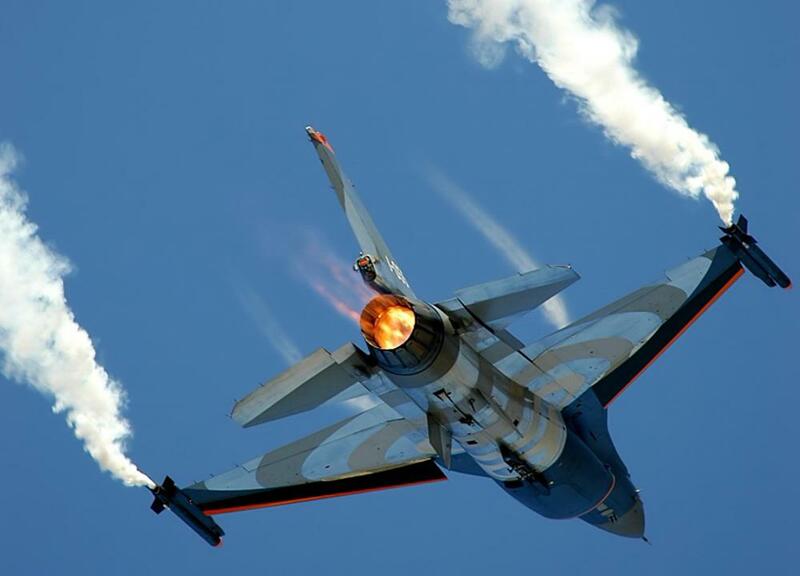 Afterburners inject additional fuel behind the turbines of the engine itself and ignite it, giving the aircraft a powerful boost in thrust for high-speed air maneuvers. Vectored thrust is also used to control the attitude of the aircraft by the addition of movable jet exhaust nozzles on the turbofan engine, where the exit angle of the exhaust gasses can be changed. This can aid in sharp mid-air turns, vertical takeoff such as with the Harrier jet, or create reverse thrust to rapidly bring an aircraft to a stop on a short runway. What Is a Compressor Surge? 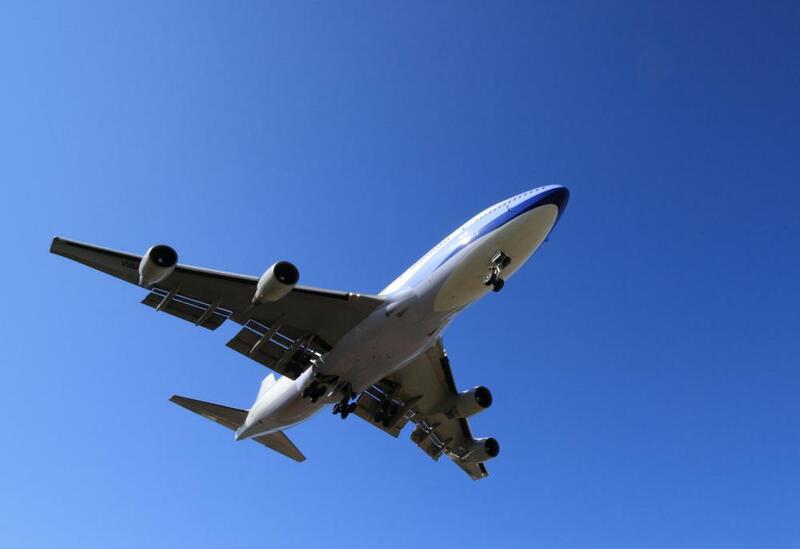 @Soulfox -- While a bird strike can be devastating, how often do they happen? Don't bother researching the answer because those bird strikes are incredibly rare. Rarer still is the time a bird strike would bring down a whole plane. Think of a commercial airliner with four or six engines. If one of them is destroyed by a bird strike, the plane can still stay in the air. In fact, you are probably more likely to get in a car wreck on the way to the airport than in a plane that is brought down by a bird strike. Relax and enjoy your flight, then. The funny thing is that in spite of technological increases over the years, the simplest thing can bring a plane powered with turbofan engines right out of the sky. Yes, I am talking about the feared bird strike in which a goose or something gets lodged in an engine and destroys it. That can bring a plane down in a hurry. Odd how the most complex machines can still fall victim to something as basic as a bird, isn't it?